Three tequila cocktails that are perfect for summer! 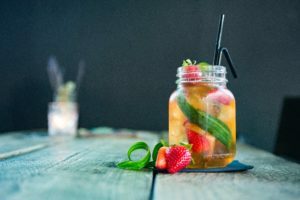 With all this perfect weather and barbecue season being in full swing, here are three great summer drinks to enjoy with your friends, family or even by yourself after a long week in the office! So get mixing and be the host with the most! A latin twist on a British favourite, this beautiful drink mixes clean, crisp, citrusy Cazcabel blanco Tequila with fresh summer fruit and Pimm’s to provide a special classic with a kick! Simply build in a glass, ice, 25ml Pimm’s, 25ml Cazcabel blanco tequila, fresh strawberries, limes, cucumber and top with lemonade, stir and serve. Delicious! This wine based cocktail aperitif commonly served in Italy has been given a Mexican boost. Bitter, fruity, fizzy and an all round crowd pleaser. The tequila spritz! Simply fill a large coupe or wine glass with ice, add 25ml Cazcabel blanco Tequila, 25ml aperol, top with 175ml of your favourite prosecco (we recommend Sainsbury’s taste the difference elegant and crisp Conegliano Prosecco) and top with soda water. For garnish use the zest of an orange to bring out the fruity citrus notes of the Tequila and Prosecco. 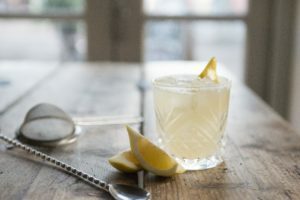 The Lemon and Elderflower Margarita. 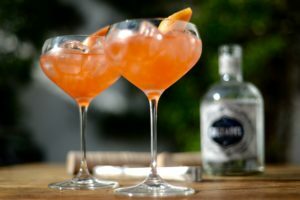 With the first accounts of the margarita dating back to 1937 in Tijuana the classic cocktail has been one of the most popular in the world, taking on a wealth of alterations and being tailored to different palettes all over the globe. We believe this one is perfect for the great British summer. Mix 25ml of St Germain, 25ml of Cazcabel blanco Tequila, a pinch of salt, 25ml lemon juice into a cocktail shaker, add ice and shake until chilled. Strain over fresh ice into a tumbler and garnish with a lemon wedge. To make these drinks, find all the ingredients you need from your Sainsbury’s supermarket or buy Cazcabel blanco online at Sainsbury’s.